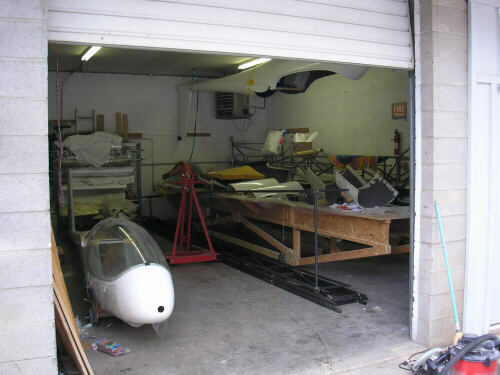 Here's the last batch of photos from ADF IV, showing the finished lower right wing mold and shop rearrangement. 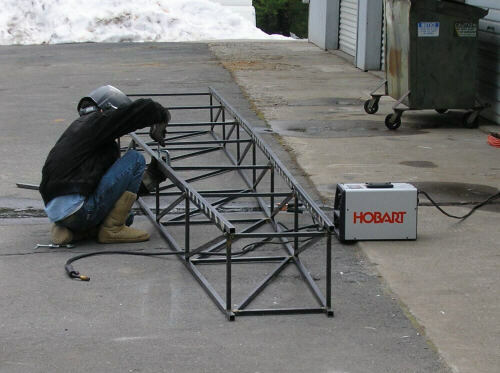 We've now taken over four bays at the industrial place where I rent workshop space. 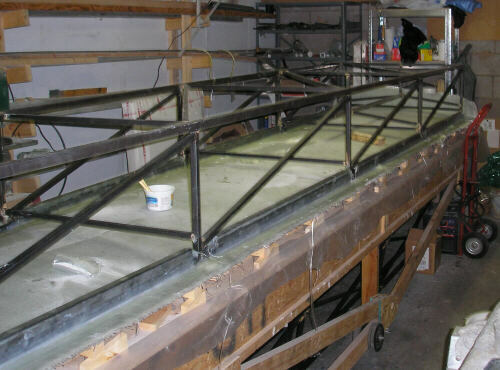 I finish welding up the steel truss for the lower right wing mold. 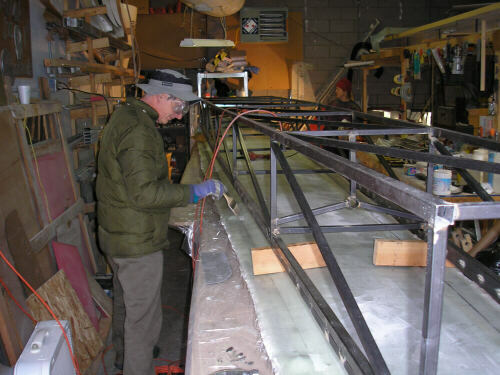 Doug puts down schmoo, preparing to bond on the steel truss. 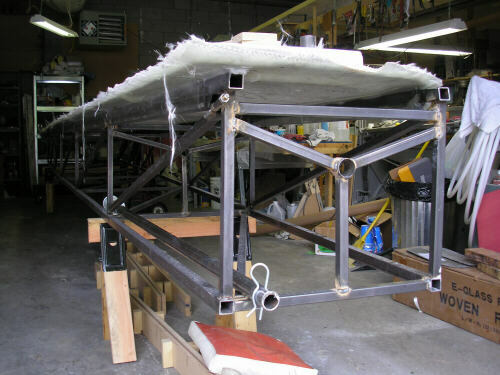 End view of the truss, showing the rollover sockets. My idea was that the rollover spindles would best be removable so we wouldn't be banging our shins on them all of the time. 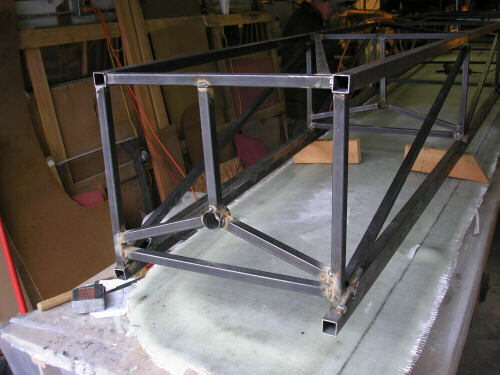 The truss in position and taped on. Raising the mold off the table, root end. 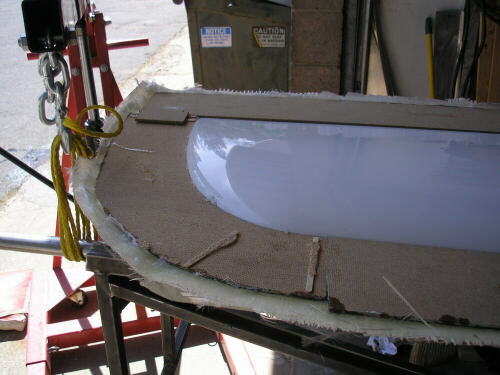 The wing plug and the masonite flange board goes with the mold, the particle board flange foundation stays with the table. Doug raising the mold, tip end. Raising the mold, tip end. 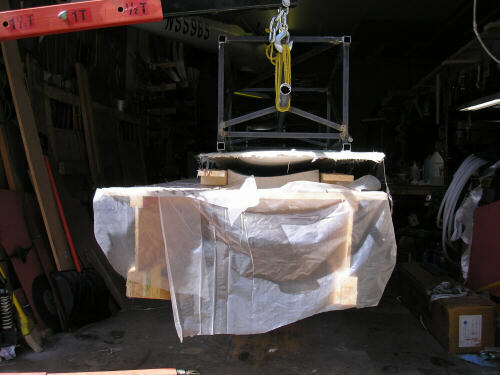 Table removed from under the mold, looking up at the wing plug. 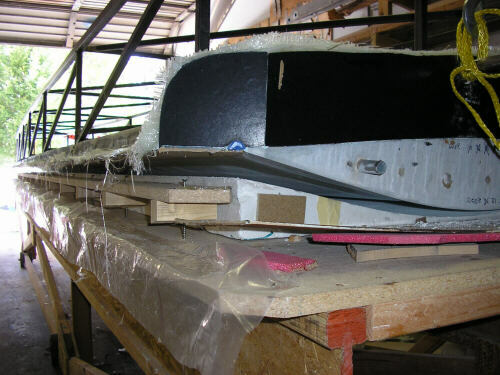 The right lower wing mold, separated and rolled over. 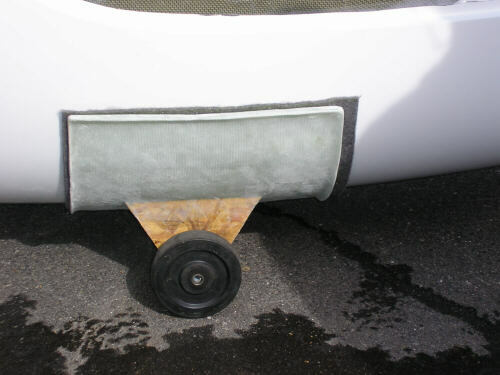 The default tip, masonite still in place. Preparing to remove the masonite flange boards. 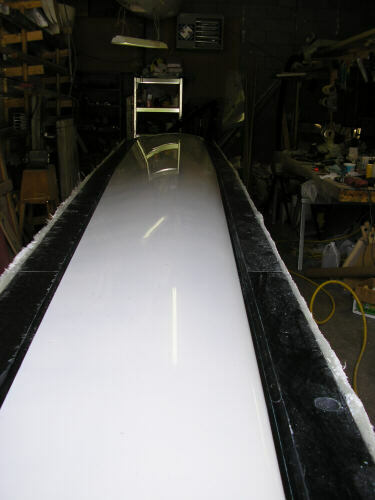 With the masonite flanges removed, but the channel features still in. 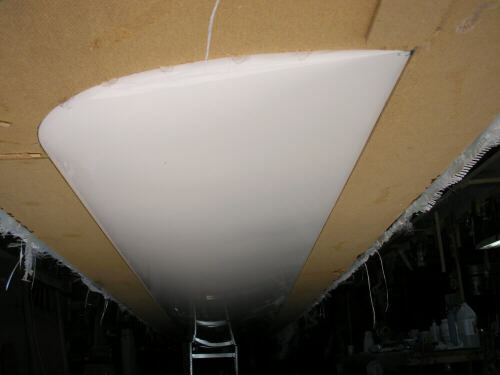 Flanges with channel features removed. 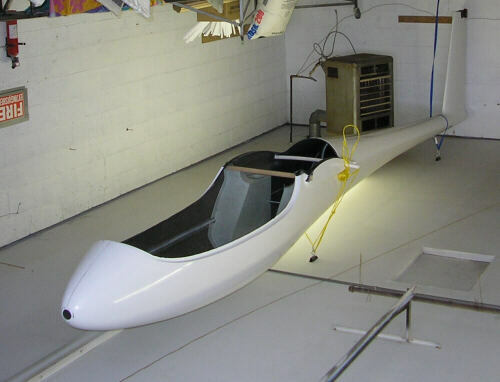 Brad's carbon fuselage shell, all 53 lbs of it. The back shop, already almost filled up. 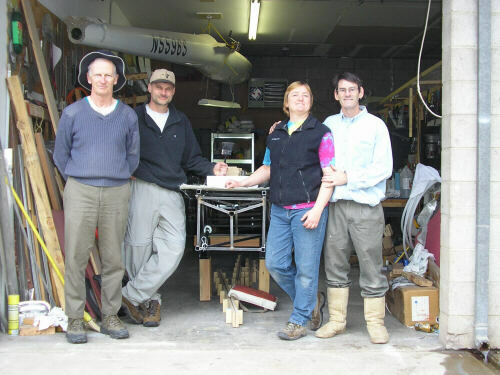 The ADF IV crew: Doug Gray, Brad Hill, Brigitta Kuykendall, Bob Kuykendall. 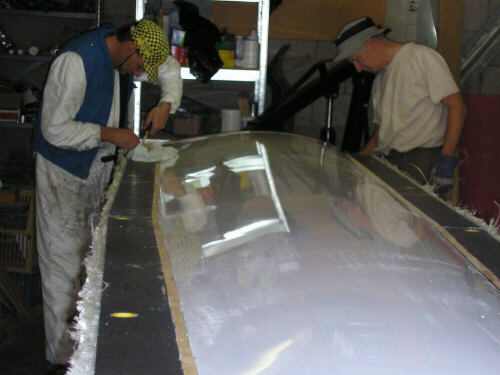 One of America's foremost sailplane development teams!